This means that our company has been approved as meeting the rigorous high standards as set by SSAIB and the UKAS Accredited standards board for which we have met all relevant BSI British Security Industry requirements. All staff are fully trained, CRB checked & security vetted so you can be assured that we provide a professional service. We are installers of all types of intruder alarms and monitored security systems. From small residential intruder alarms, through to larger commercial properties, we specialise in the design and installation of intruder alarms that are tailored for your exact requirements. All of the intruder alarm systems we provide offer the flexibility to expand the system at any time. We can design a security system to suit almost any installation requirement or environment, things like family pets such as cats and dogs causing false alarms are now a thing of the past by using the we can install the latest detection products available. We can provide a complete monitoring package for your alarm system. Our monitored intruder alarms are connected to our prefered (ARC) Alarm Receiving Centre, East Midlands Central Station who are an NSI Gold approved provider for ARC alarm monitoring. We can design, install and maintain both keyholder response and Police responce systems, please see our Alarm Monitoring page. We carry out a free of charge security survey and risk assessment on all new installations and system upgrades. The security survey is carried out by one of our fully trained engineers. Carrying out a security survey and risk assessment helps us to determine what type of system, detection products and level of protection you require and allows us to design a burglar alarm system that is specific to your needs. Our engineers have over 18 years experience within the industry in the Design, Installation and Maintenance of all types security systems. 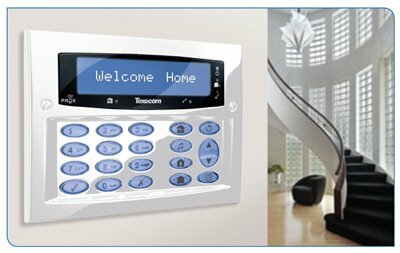 PSE Security Services use the very latest technology in electronic security systems, Although we fully support all leading manufacturers, Our preferred manufacturers are Texecom Premier and Honeywell Galaxy. 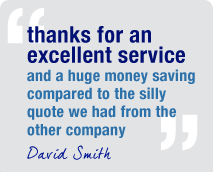 We have been using their products for well over 15 years now and with great success on hundreds of installations. Our standard domestic burglar alarm system can be fully installed within one full day and all work is completed to a very high standard and we use the highest quality components from a selected range of manufacturers that have been tried and tested over the years and ave provided hundreds of our customers with reliable intruder alarms. We provide 12 months parts & labour warranty on all new installations and includes our 24hr Callout service. The most common type of alarm system used is for domestic and light commercial premises that are deemed as low risk, and is known as a Bells only type system. These systems are capable of providing a very high level of protection. In the event of an alarm condition occurring, this type of alarm systems has an external siren unit that will activate for 15 minutes then reset itself. The police will not respond to a bells only system unless yourself, neighbour or family member reports a burglary or attempted burglary in progress. Many businesses ignore the real cost of an intruder break-in until it is too late. The theft of stock, hardware and the loss of data can be extremely detrimental to the successful running of a business. Insurance may cover some of the financial losses but the disruption a theft can cause could mean delays, lost work and even lost customers. With theft and criminal damage increasing it is an ongoing threat to any business which can prove to be very costly. PSE Security Services Ltd provide a complete design, installation and maintenance service for all commercial and business customers. From a simple bells only system to a fully monitored intruder alarms that are connected to our preferred (ARC) Monitoring centre who are also an NSI Gold accredited and approved Alarm Receiving Centre, we can install a system with the option of keyholder only or Police response. We do not sell off the shelf systems, All new intruder alarms are designed to BS & EN standards to meet your exact needs at an affordable cost. Monitored alarms use a special piece of hardware that is connected to the alarm system and uses both a telephone line and a mobile GSM network. This device allows the alarm system to securely communicate with a receiver located at an Alarm Receiving Centre (ARC). An ARC is a 24 hour manned control centre with dedicated staff that are trained to the highest standards in the monitoring security systems and also contacting the right authority in the event of an receiving an alert; such as Police or the Fire brigade in the case of a fire activation. A monitored alarm sends regular secure signals to the ARC and reports the system state. In the event of a burglary, the alarm system will transmit the information to the ARC, where they will respond accordingly for either key holder response or Police response. Keyholder response systems are mainly suited for low risk systems such as domestic property's where a standard key holder response is sufficient and Police responce is not required. The (ARC) Alarm Receiving Centre will still react to any signals sent from your alarm system in the same way, the only difference is that in the event of an activation or an alert from your property they will contact your nominated keyholders to attend the your premises. The Alarm Receiving Centre operator will advise the keyholder of the situation and discuss the activation or system alert, this could be for any number of things from a Mains failure or system fault to an intruder activation or even a confirmed alarm activation. A confirmed alarm activation means that more than one detector has been triggered within the premises and would indicate that an intruder is in the property. From this point, it is the responsibility of the keyholder to take the required steps to deal with this alert. Police Responce works in the same way as the Key holder service, However if the Alarm Receiving Station receives a confirmed alarm signal activation from your system, The (ARC) Operator will make contact with the Police and request an immediate response from them. If this should occur, A keyholder will be required to attend the premises within 15 minutes to allow the Police access.